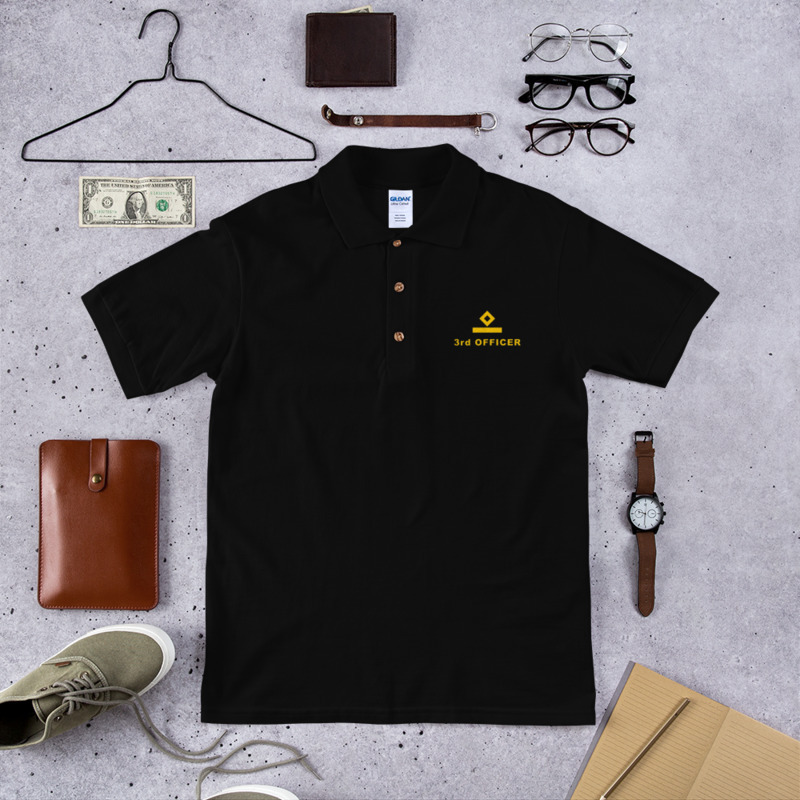 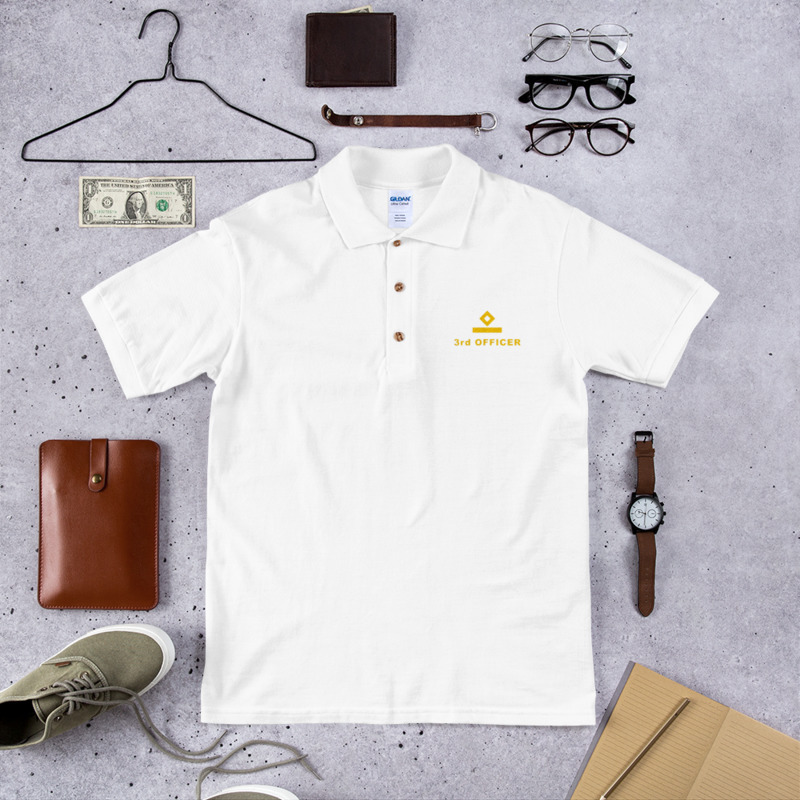 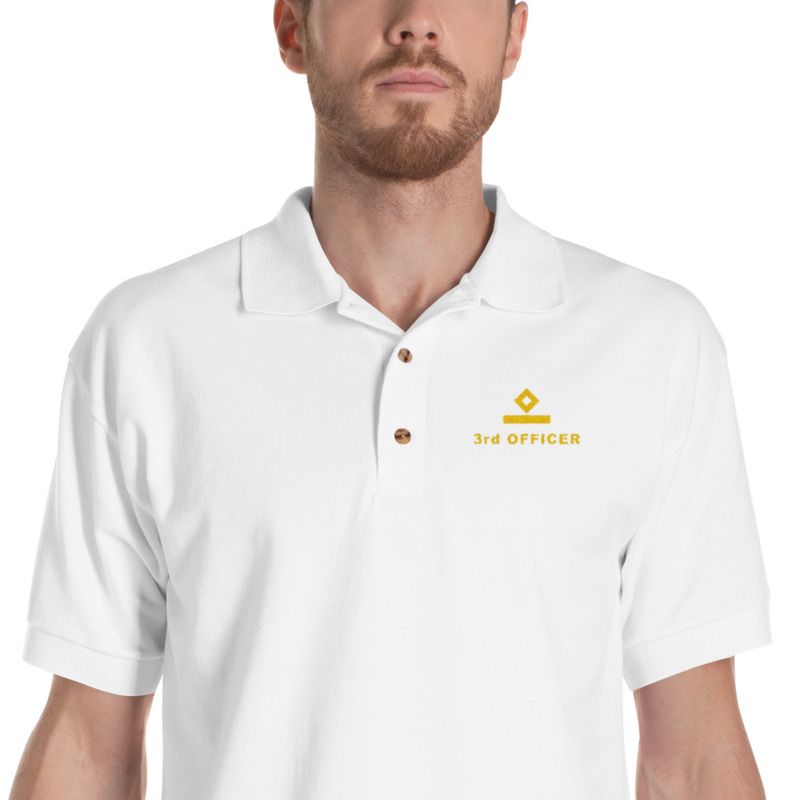 High quality polo shirt with gold Embroidered rank of 3rd Officer / 3rd Mate! 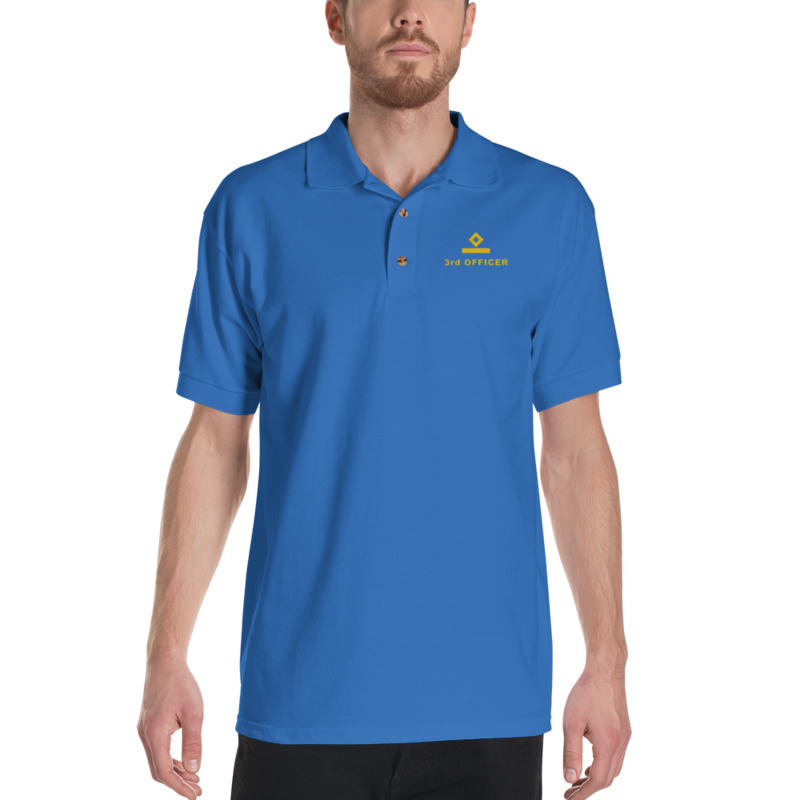 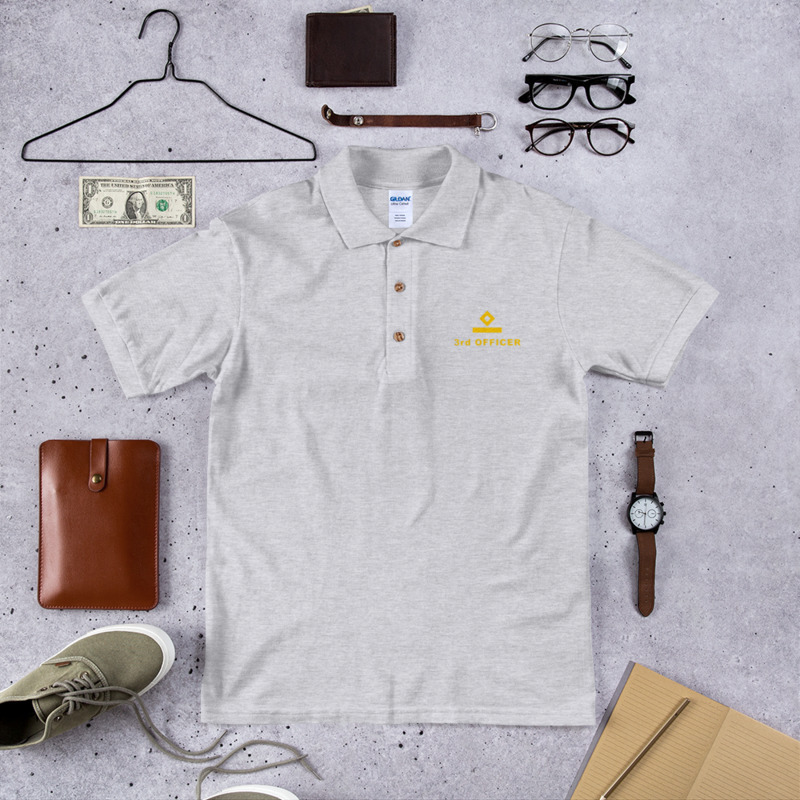 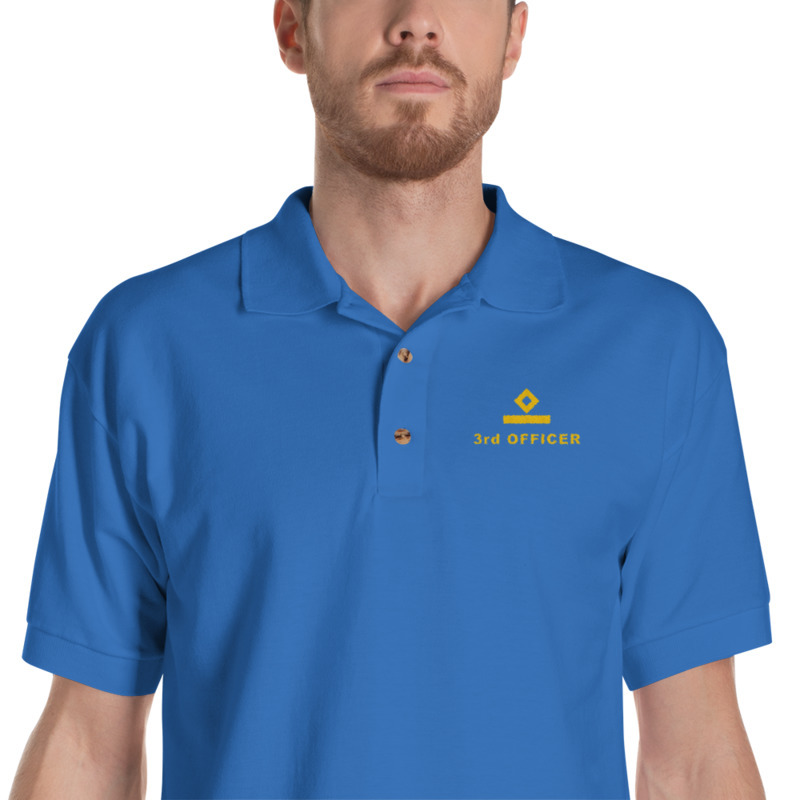 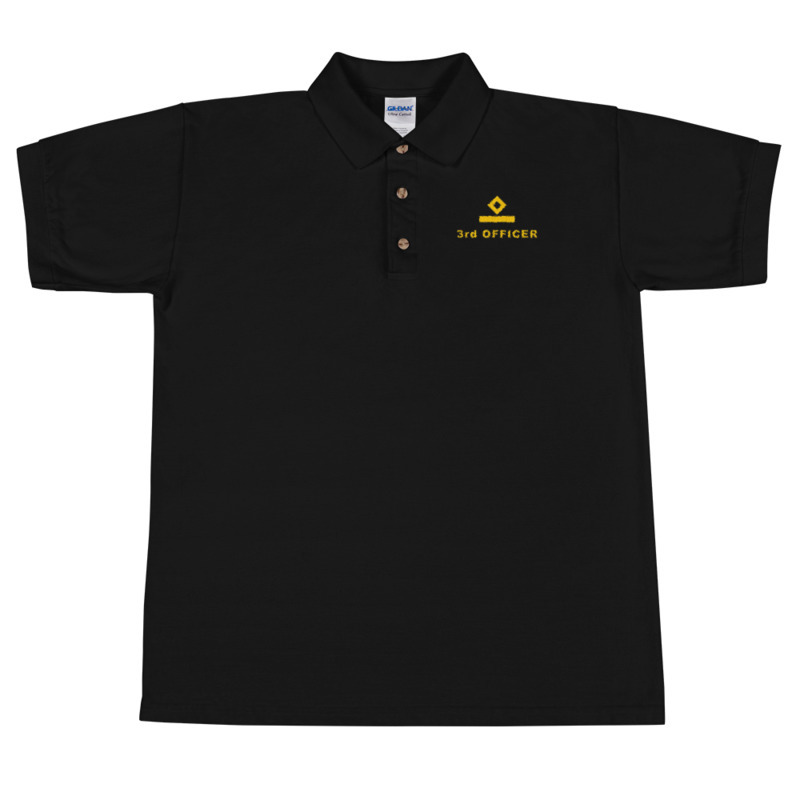 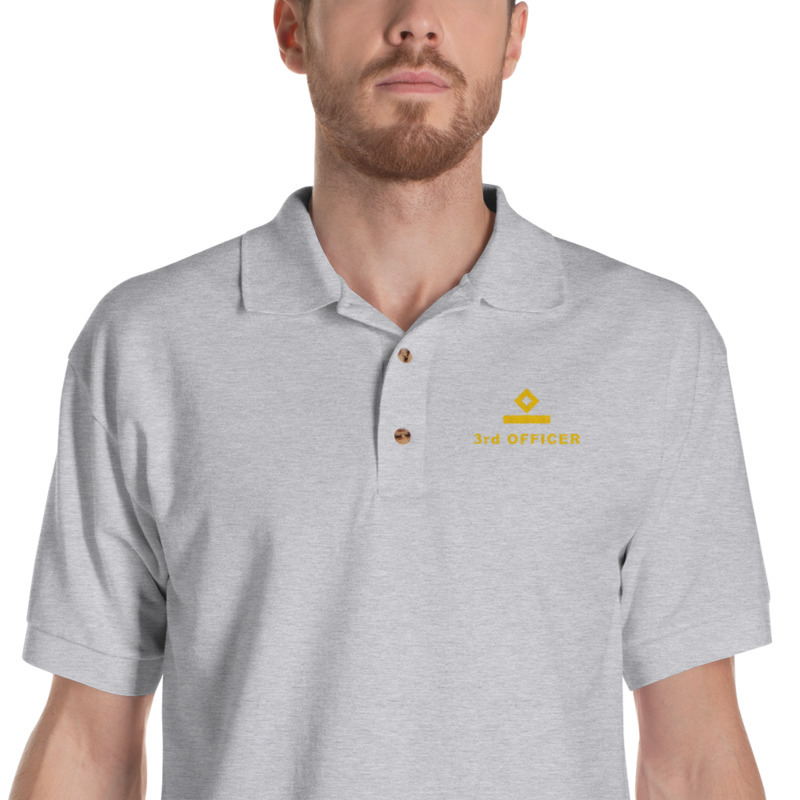 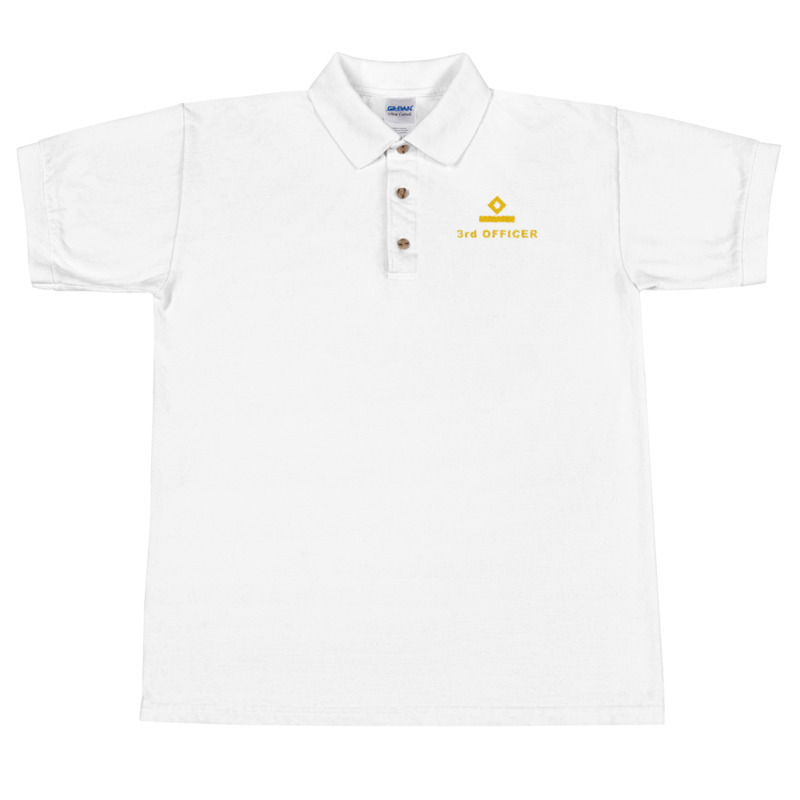 This 3rd Officer / 3rd Mate polo shirt is ideal for ship working environment. 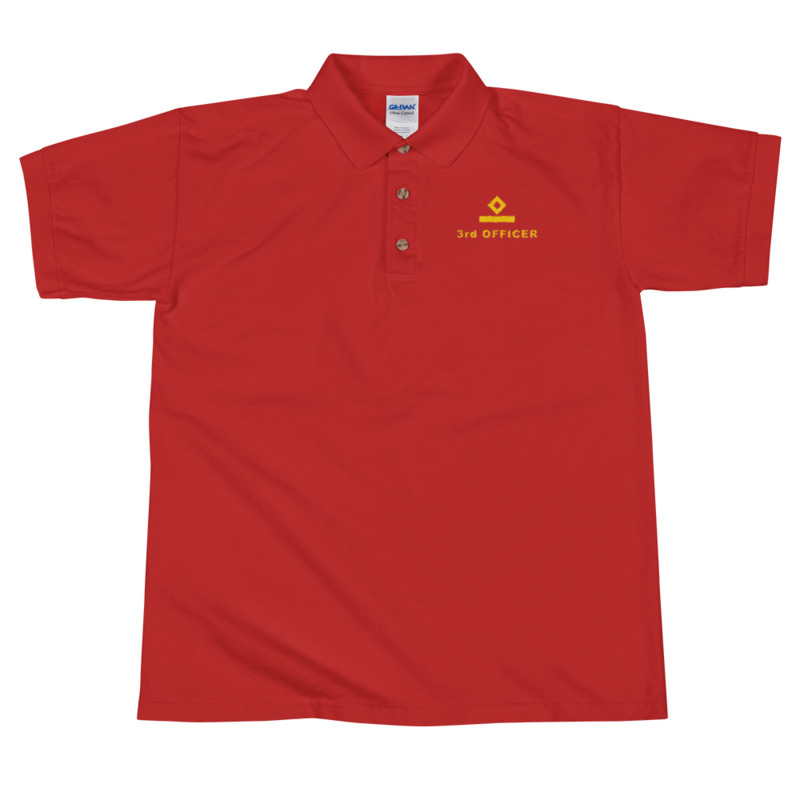 Professional look and high quality guarantee satisfied customers and long use.